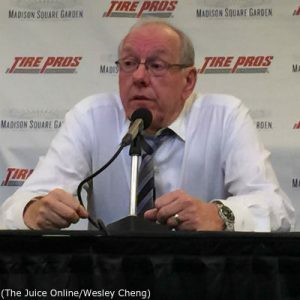 Item: The number of defeats Jim Boeheim’s teams have administered against its opponents is 1004, and that is not in dispute. The NCAA stripped away 101 victories in 2015 due to sanctions it levied against the athletic department leaving the “official” number at 903 following this year’s NIT season. With Sunday’s initial announcement that Boeheim will be coaching beyond the previously stated 2018, if he averages 20 wins a season for five seasons (SU finished 19-15 this year), or through the hard-to-even-fathom 2021-22 season, he will have reached 1000 again, at least in the eyes of the NCAA. Is it even realistic to speculate if Coach Boeheim will still be on the sideline for his sixth decade leading the program by the time 2020 rolls around? Heck, that’s only two additional seasons from what he confirmed at Monday’s press conference with athletic director John Wildhack at the Melo Center that 2018 was going to be his definite retirement date, prior to Mike Hopkins’ weekend departure for Washington. At this point, who’s not to say he’d still be coaching longer that Mike Krzyzewski (missed four weeks of this past season recovering from back surgery) and somehow make up the “66” wins he trails Coach K on the Div. I all-time victories list? We’re done speculating on just how much longer the Hall of Fame reign will continue, and nobody was willing to talk about contract lengths on Monday, as Boeheim seemed as energetic as ever in his more relaxed, off season persona completely focused on moving forward. “Now that this change has occurred (Hopkins departure), I’m happy that it’s turned this way (extending beyond 2018),” Boeheim said after again emphasizing that he was “perfectly content” for retirement after the upcoming season. 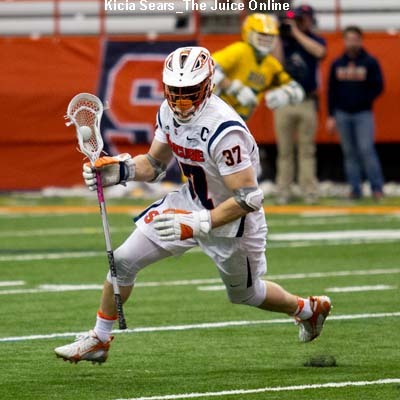 The most important development of the weekend whirl (further fueled by Monday’s news that Tyler Lydon has decided to declare for the NBA Draft after two seasons), was the quick response to Hopkins’s departure with the firm imprint of continuity by extending Boeheim’s contract and securing and promoting assistants Red Autry and Gerry McNamara, easing any nervousness among current recruits and their families, and establishing the protocol for the next recruiting cycle this off season. 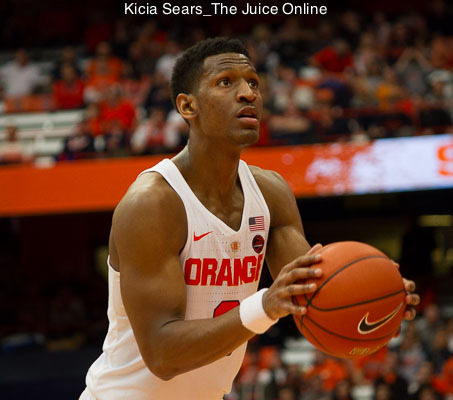 Asked Monday about the ideal candidate to eventually succeed him running the Orange, Boeheim said the road is already paved for the program to continue contending for ACC and national championships. “Whoever does come after me will be successful here because we have a great fan base, we have great facilities, we have a great administration, we have a great school, we have a great league,” Boeheim said emphasizing the competitive nature of the ACC. But that’s the future and Boeheim is only thinking of the present and the next recruiting class. The sudden change of the program’s direction has happened to perfectly coincide with a career head coach who has only known one job the last 41 years. Boeheim is simply not ready to give it all up and candidly admitted so on Monday. The countdown to 97 more wins begins.